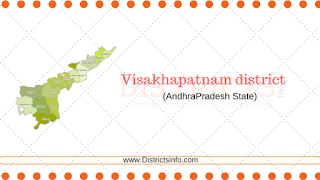 Mandals in Visakhapatnam district : Visakhapatnam district is one of the curical districts in north coastal districts in Andhra Pradesh. It has Odhisha on the north side, east Godavari district on south, Odhisha on west and Bay of Bengal on east as borders. Visakha district can be divided into three parts, the rural area, urban area and the agency area.